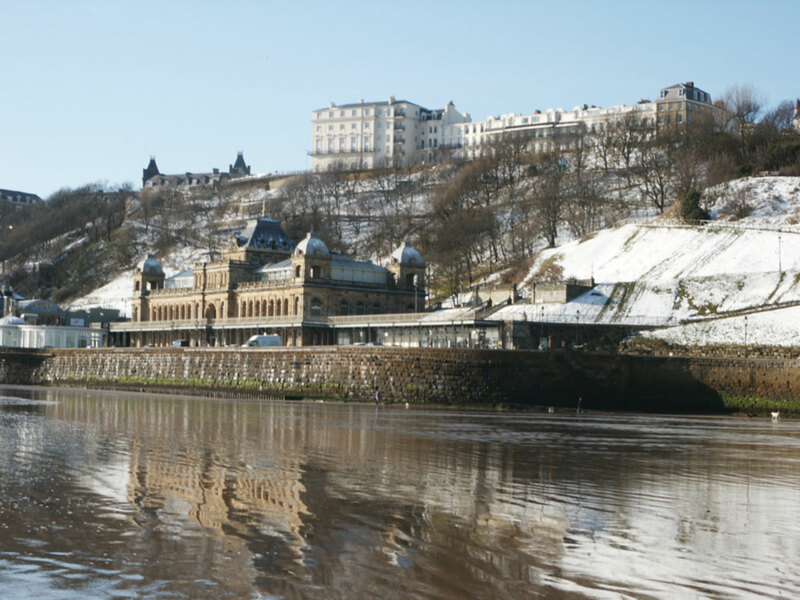 Scarborough Borough Council’s Cabinet at its meeting held today, 24 April 2012, has agreed the Environment and Economy Scrutiny Committee’s proposals to prepare a business case for a rock revetment scheme at the frontage of Scarborough Spa, to improve foreshore sea defences. Officers will now continue with the study on the basis of the preferred option, a rock revetment with a constant crest level throughout the frontage with a moderate height of 1.1m wave wall, as the basis for further study. Cabinet has also agreed to accept the Environment Agency’s offer of £290,000 to undertake ground investigations on the foreshore in front of the Spa and the slopes behind the Spa as part of this ongoing study. The rock revetment option has been chosen as the preferred option over a stepped concrete revetment proposal as it is more economically advantageous and a more environmentally acceptable solution. The completed study will, when completed and approved by Cabinet be submitted to the Environment Agency in order to obtain further funding for the detailed design, licences, consent, planning application, further public consultation and construction of the scheme. “Contrary to some reports in the media, we are approaching the point when we can no longer just simply pursue a tactic of make do and mend. The sea defences are inadequate, wave overtopping is well beyond safe levels and will get worse and the effectiveness of these coastal defences continues to deteriorate. For full details and background history read the Cabinet report which is item 18. This entry was posted in Spa Sea Defence by Scarborough Sea Defences. Bookmark the permalink.